You may also want to include a short (5 minutes max) ‘making of’ featurette. The whole thing should be about 20-30 minutes long. You need to think about your EPK in preproduction. 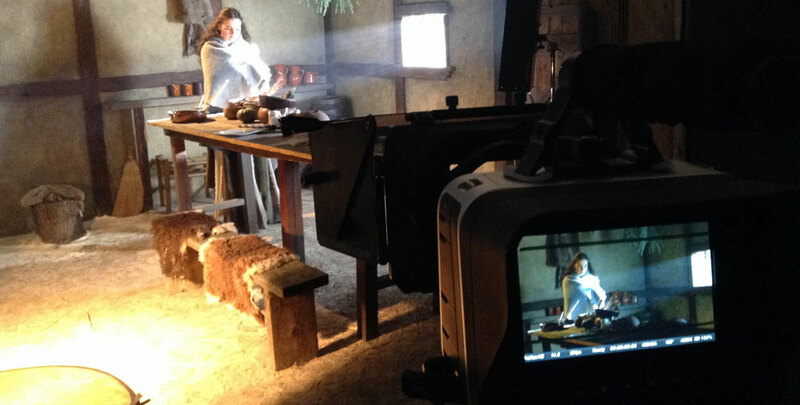 Assign someone with camera and editing experience to film behind-the-scenes material on a few key days of the shoot. This post has lots of tips for shooting good B-roll. Here’s some B-roll from the Avengers: Age of Ultron EPK. Personally, I think that putting black slugs between every shot is excessive. With the Ren EPK I loosely edited half a dozen montages and titled them ‘Filming crowd scenes in the village’, ‘Filming fight scenes in Epping Forest’ and so on. Here’s another example, this time from the Chappie EPK. When shooting the interviews, encourage people to keep their answers brief. Answers of about 30-45 seconds are ideal. Remember that an EPK is not a finished product: you can’t have jump cuts or paper over edits with B-roll, which means you can’t cut stuff out of the middle of people’s answers; all you can do is trim the beginning and end. What was it like working with the other actors and the director? What was it like filming the action scenes / scary scenes / romantic scenes / scenes where you had to be painted blue from head to toe? Why should people go and see this film? Put a title card before each answer, giving the question (or a brief description of what the person talks about in their answer), the duration of the clip, and the person’s name and role. Here’s an example, again from Age of Ultron. See how the picture kicks in before the sound? That’s to give someone editing the clip into their show more flexibility – they could dissolve into the shot, for example. Here’s another example, this one from Far from the Madding Crowd. Once upon a time you would deliver an EPK on Beta SP, but clearly those days are gone. For Ren I’ll probably put the clips up on VHX, a VOD platform we’ve been using for our behind-the-scenes Kickstarter rewards. We can create a package of videos which people can be invited to, with a nice, slick interface, and the videos – one for each interview answer and B-roll segment – will all be downloadable by invitees as 1080P H.264 MP4 files. If anyone wants less compressed versions, they can contact us directly. If you missed it, check out my post on lighting the Ren EPK interviews. And for another perspective on making an EPK, you can read Sophie Black’s guest blog from 2012 in which she talks about making the one for Stop/Eject. Season one of Ren: The Girl with the Mark is out now at rentheseries.com. This article has been reprinted by MFM with my express permission. You can learn more about this and my other work as a cinematographer, gaffer, and director at NeilOseman.com.